Witas Berlin aims to bring together women working in tech, media and startups in Berlin. The events follow the »Girl Geek Dinner« model, meaning men are very welcome at the event, just need to be coming as a plus one. #witas was founded by Nicole Simon. You can connect with her on twitter, facebook, linkedin or xing. 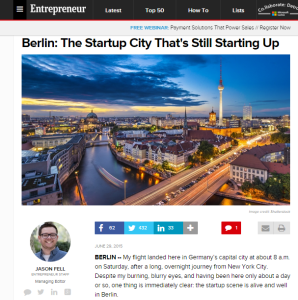 And that article is as good as any other reason to make a quick list “things women interested in tech and startups can do in Berlin”. Do you have a recommendation? Leave it in the comments!